With SIHH 2018 already becoming a distant memory, there has been a lot to process. In terms of energy on the show floor, and conversations with brands about retailer response, by all accounts there is a lot of optimism out there going into 2018. In terms of product, as always there was a lot to take in. I’ve spent time examining some of my favorite innovations of the show, what I preferred from the smaller independent brands, and what other trends are floating around the industry, but I quickly came to realize I’d yet to look at the show from a more practical perspective. As an industry, we have a knack for focusing in on the latest-and-greatest masterpieces, even though each year delivers a healthy assortment of more basic creations that are perfect daily-wear candidates. I’ve spent some time going through the countless wrist shots, press packs, and other materials now that the post-SIHH jetlag is long gone, narrowing the list down to a few of my favorite contenders that would make perfect daily-wear companions. 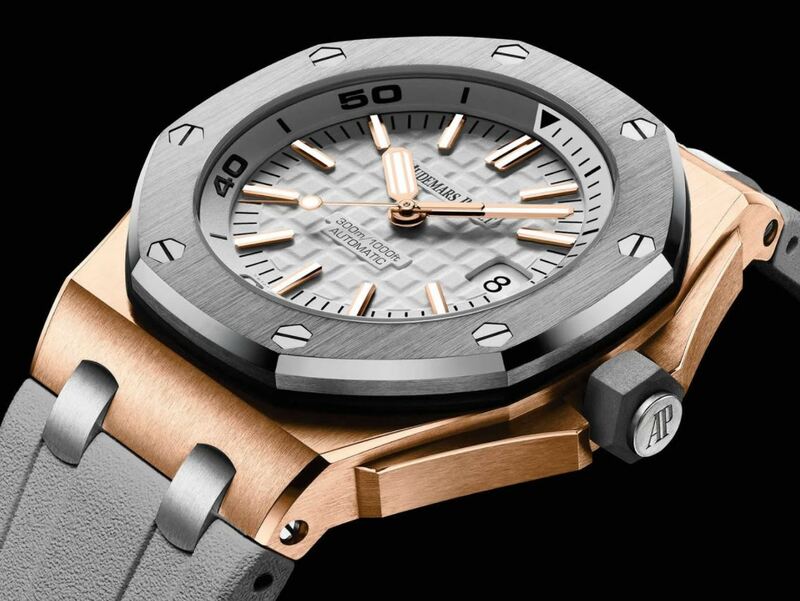 Let’s dive into the Audemars Piguet watch first. There were a lot of killer additions to the Offshore line this year as the brand celebrated the 25th anniversary of the collection, so narrowing the preferences down to a single piece was a bit of a challenge. Much as the new vibrant colored divers were a bit of a draw (this year saw the launch of purple, aqua blue, khaki, and beige Offshore Divers), it was the visual versatility of this two-tone pink gold and titanium model that had to be the winner at the end of the day. Two-tone is coming back in a big way, and the few brands who have been executing the bi-metal combo using titanium are definite frontrunners in my books. The piece is understated enough to pair with just about anything, and you don’t need to worry about the gold vs. white metals debate with your belt and other accessories either. Of course, no matter what Offshore Diver you choose, it’s hard to go wrong, as each will feature the same charming Mega-Tapisserie dial, AP’s self-winding Calibre 3120 with a 60-hour power reserve, and a healthy 300m water resistance. Our favorite from the Audemars Piguet from SIHH. 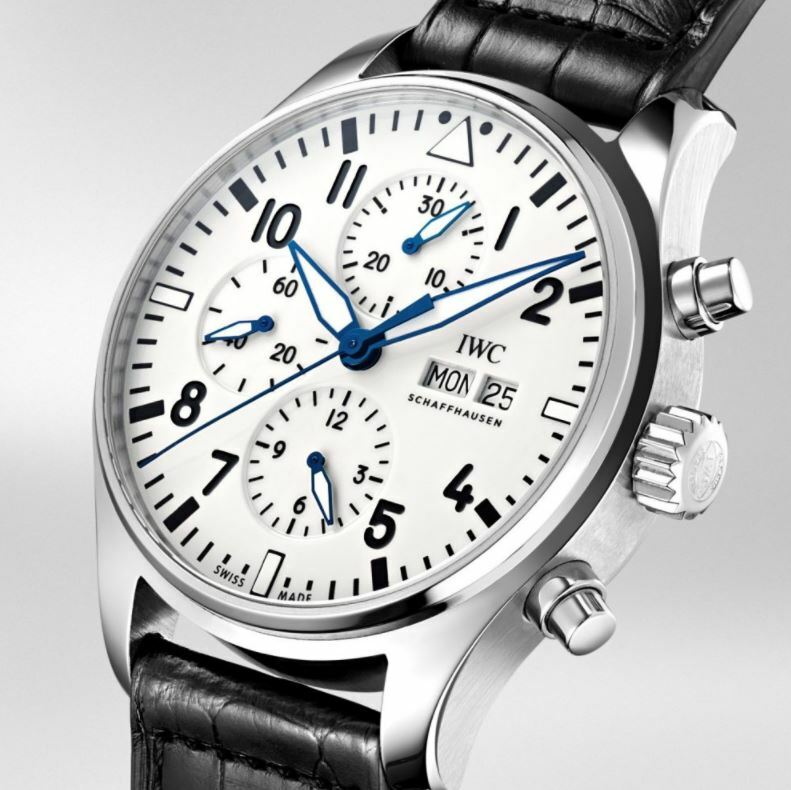 When I mentioned earlier how some of the best daily-wear watches were hugely overshadowed, this IWC is a prime example. While everyone was busy waxing poetic about IWC’s new digital jumping hours and minute Pallweber model, I was instantly fixated on the rich white lacquer dial and blued hands of this new limited-edition model from IWC. It’s a simple change to a classic model from IWC, but it works surprisingly well and gives the classic tool watch a bit of vintage charm without having to resort to beige superluminova to provide fake patina. What was of particular interest with this release was also its price positioning. Considering the piece is limited to only 1,000 pieces worldwide, and its 12-layer lacquer dial is a fair bit more elaborate to produce. Last and certainly not least, Panerai revamped their slim-cased Due collection this year, offering a number of these great anthracite grey dials, as well as a pair of compact 38mm models for the first time. Compared to last year’s Carbotech Lab-ID release my selection might seem a bit tame, but the compact proportions of the Due in 42 make for an ideal daily-wear companion. 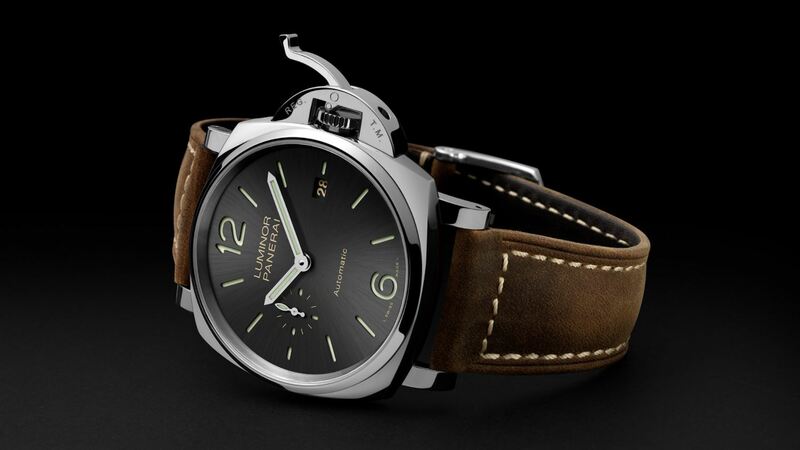 As an added selling point, one of the big changes with the Due line this year is the fact that Panerai has fitted the entire line with in-house manufacture calibers for the first time. Using the self-winding OP XXXIV calibre, which (as the name implies) is good for a power reserve of 3 days, this is the latest in the brand’s ongoing push to bring more movement manufacture in-house. What’s most impressive is the fact that this significant shift doesn’t come with an increased sticker price. Looking back on the last few years this is basically unheard of, as luxury watch brands regularly charge at least a slight premium when moving away from outsourced movements.